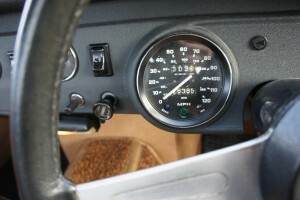 Only 26,000 miles from new! 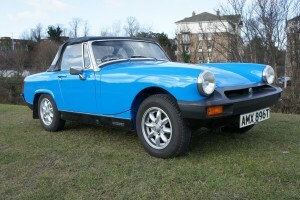 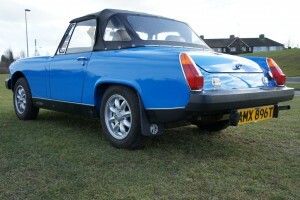 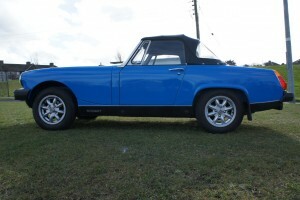 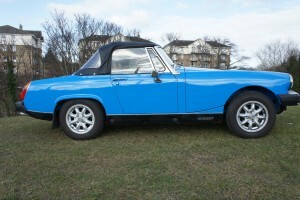 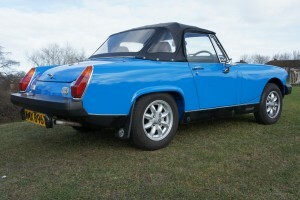 First registered in November this Tahiti Blue MG Midget 1500 can only be described as in timewarp condition. 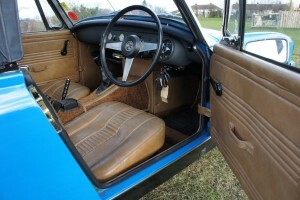 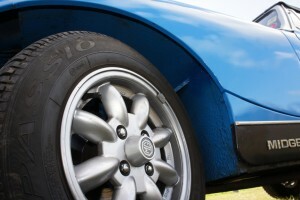 Wearing its original, albeit orange peely, British Leyland paint, it is exceptional throughout. 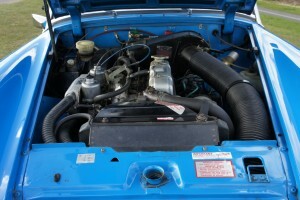 Other than the fitting of a new hood, a stainless exhaust, a set of Minilites and a Laserline alarm, this car is exactly as it left the factory, showing hardly any wear from its 26,000 warranted miles. 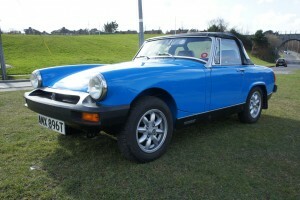 Supplied new to Turrell Bros of Dartford, it remained with them until 1993 clocking up only 5330 miles before being purchased by a Mr Fox of Wimbledon. 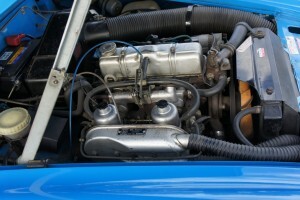 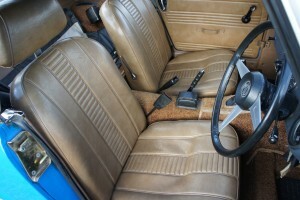 He went on to keep the car till 1999 during which time he clocked up a further 8,700 miles and regularly had the car serviced with Cox and Buckles. 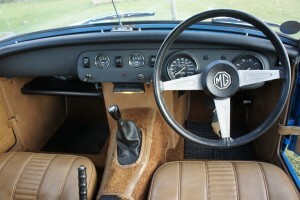 Following a short sojourn in Somerset and a further 9000 miles the car ended up being cosseted in a small private collection in County Louth in Ireland in 2003. 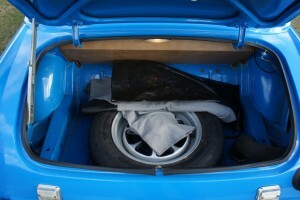 Comes with 2 sets keys, tonneau covers, original handbook, misc. 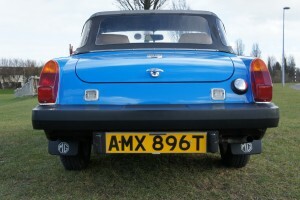 receipts, copy old registrations, 11 old MOTs as well as a RAC engineer’s report from 1993 in which it is stressed the condition is ‘well above the average’. 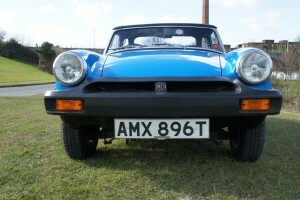 Currently Irish registered, it comes with NOVA; we will assist with registration in UK.